So, what can we expect in 2010? My view is that we should see the sea trout numbers continue to improve. I say this on the evidence of a big increase in terms of prey biomass around Scotland’s coast. This has been recorded by SNH and it appears that there is a similar trend in Ireland and Northern England. No-one is able to explain why there should be a sudden and unexpected increase in zoo plankton, phyto-plankton, sand-eels etc . What we can say however, is that further afield in the South Norwegian Sea, things are not looking so good with a collapse in herring, blue whiting and mackerel stocks. Interactions between salmon (and to a lesser extent in the open sea) and other species tell us a lot. To summarise; close to Scotland’s shores there seems to be plenty of food, but elsewhere the situation is at best patchy. Conclusion? OK for sea trout, not so good for grilse, and possible OK for 2 sea-winter salmon and the odd 3 sea-winter salmon that survives. 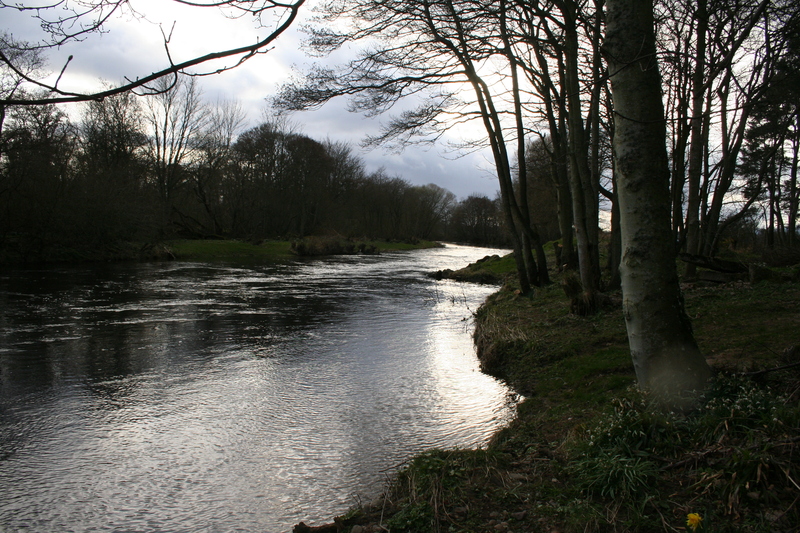 The South Esk has a long and deserved reputation as one of Scotland’s great sea trout rivers. In the 1960s it was not unusual for the total catch of sea trout and finnock in the S. Esk District to exceed 20,000. In 1967 the catch was 37,000. Only the Ythan, Deveron and Spey came anywhere close to matching these catches. As far as we know, the South Esk continues to produce good numbers of sea trout smolts, although recent years have seen a decline – possibly from competition for redds and juvenile habitat with salmon. Whether it is this, or marine mortality, which seems more likely, the last five years have seen a severe, but not unprecedented decline in numbers of returning adult fish. Nevertheless, the South Esk remains a top sea trout river. I have often been asked why the South Esk is so much more productive as a sea trout river than its close neighbour the North Esk. As always with sea trout, there is no easy answer. The river has all the habitat requirements of the sea-going version of Salmo trutta L. – the brown trout, from gravelly upper tributaries to the deep pools and dubs with their quiet, alder-overhung tails. I have seen shoals of 200 – 300 sea trout averaging two and a half pounds in the Dam Pool at Kintrockat, similar numbers in the Boat Pool at Finavon. But the most impressive show of sea trout that I have seen anywhere is in the Garden Pool at Inshewan. 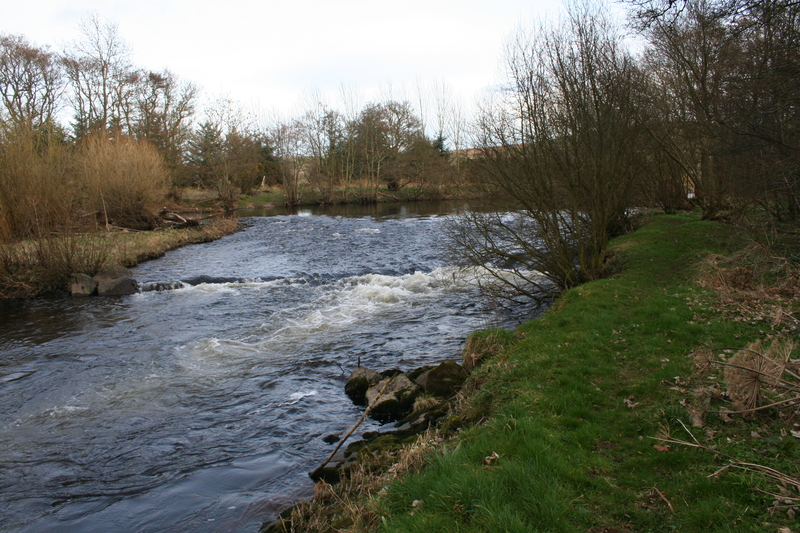 Less than a decade ago this single pool produced over 350 sea trout to night-fishing rods. Unlike the great sea trout systems of the Western Highlands – Stack, Maree, Shiel, Eilt and Na Shealagh, there are few big sea trout caught on the South Esk. The century average is just over two and a quarter pounds and the biggest I have ever heard of was a twelve pound fish caught at Inshewan. Sea trout of 5lbs and heavier have never been common. Until recently the coastal nets South of Montrose continue to take a heavy toll of the South Esk’s sea trout stocks, in May June and July each year killing 2,000 to 3,000 fish, in addition to 6,000 salmon and grilse. But now the netsmen have agreed to return their catch of sea trout alive to the sea and none will be sold. We should see more fish in the river as a result. For anglers visiting the South Esk in June or July to fish for its sea trout, there is a culture of night fishing. There is a group of 50 to 60 anglers who home in on this little river to fish for sea trout through the short summer nights, and witness the heavy splashes and spreading ripples made by these mysterious fish against a sliver of light in the night sky. The South Esk is defined by its sea trout. The essence of this little river is the experience of waiting beside a tree-lined pool at dusk for the colour to drain from the landscape and for the bats to start their incessant search above the water for flying insects. The lines of alders against the sky with the dark pools at their roots, and the slow, sometimes imperceptible, draw as a sea trout takes the fly, represent aspects of an angling culture that very few rivers can sustain, and the South Esk is one of these.